Unlike in Microsoft Office 2010, Save as PDF for Microsoft Office 2007 is not available directly. You need to install additional plugins for Microsoft Office 2007. 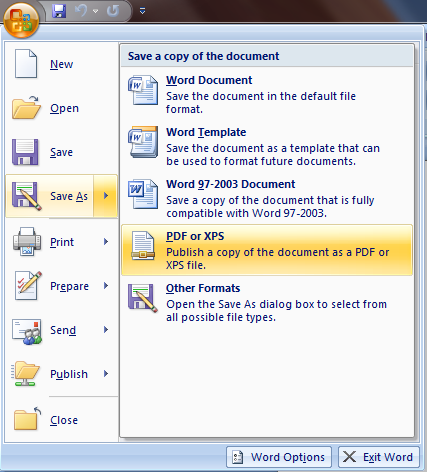 Microsoft has provided a Save as PDF plugin for Microsoft Office 2007. So you do not need hard to find word document to PDF converter. 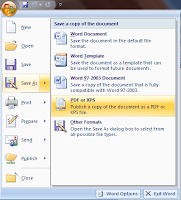 Download Save as PDF Plugin for Microsoft Office 2007 here or here.